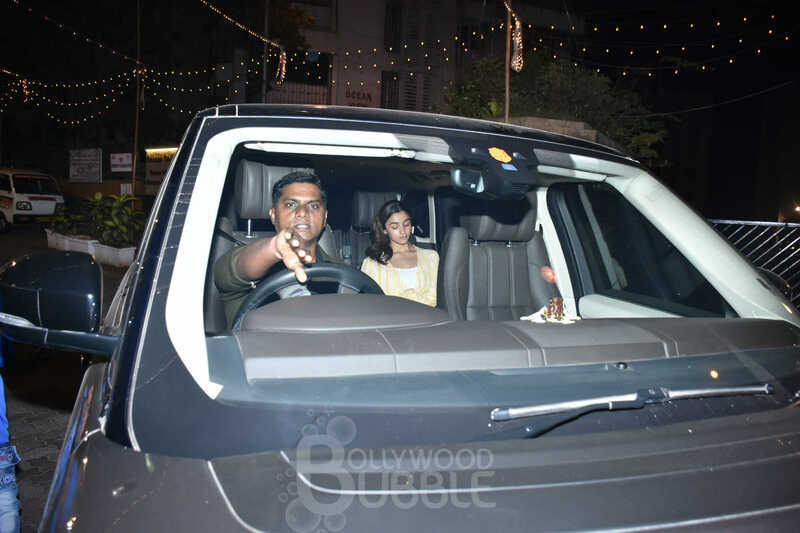 Returning from the promotions of her upcoming film 'Kalank' in Delhi, Alia drove straight to the house of her mentor Karan Johar. 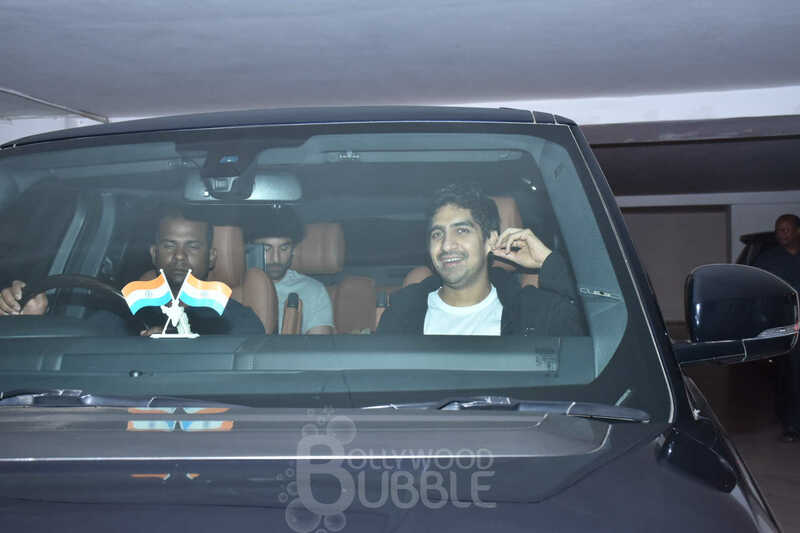 Interestingly Alia was joined by her alleged boyfriend Ranbir Kapoor and good friend Ayan Mukerji. 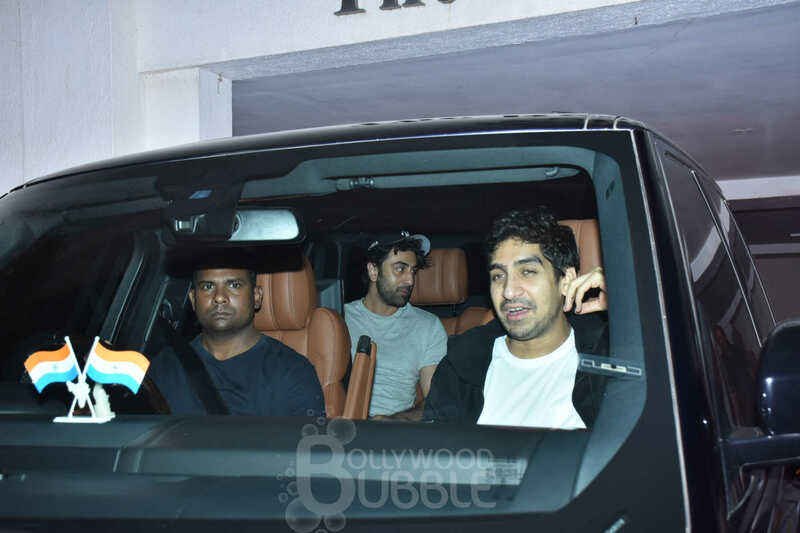 All three of them left KJo's residence in the same car. Interestingly Alia and Ranbir will be sharing the screen space for the first time in Ayan's 'Brahmastra'. 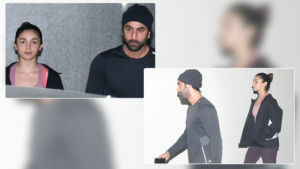 Dressed in casuals Ayan was smiling all the way, while Ranbir and Alia were engaged in a conversation. Looks like the couple was trying to catch up in whatever time they had together. Alia is busy these days promoting her film 'Kalank'. However we wonder what was the agenda behind this sudden meeting of 'Brahmastra' team with Karan Johar. Is there any announcement on the anvil? Let's wait and watch for that.